Your article is on it's way! 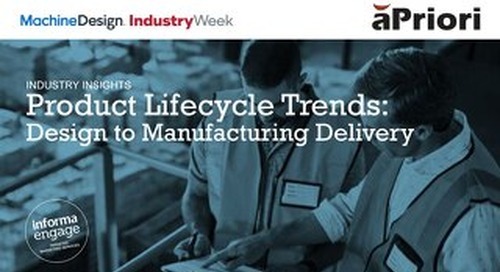 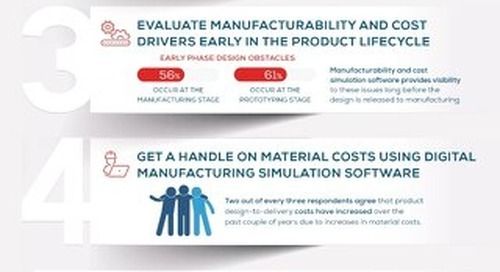 In July 2018, aPriori, in partnership with Machine Design and Industry Week, completed a survey that was mailed to over 35,000 active readers to assess where costs are getting out of hand and how many companies are making it a priority by investing in simulation software. 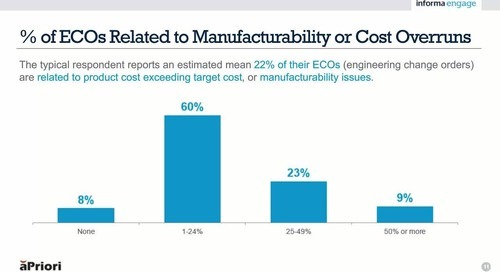 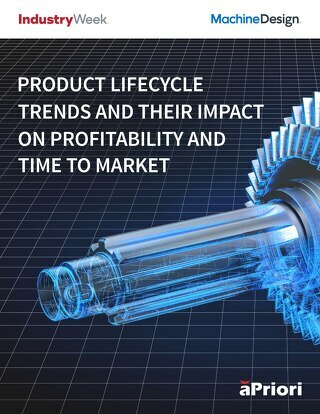 The following tips provide guidance around how product cost management software can enable manufacturers to identify and eliminate manufacturability issues and cost drivers early in the design process and reduce or even eliminate late stage thrashing to achieve target costs.